Next week, for the first time, you can plant a real crop on your pretend farm. 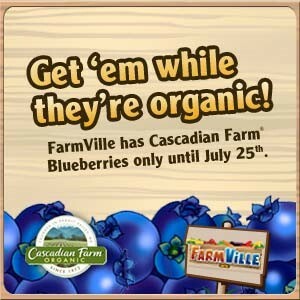 According to the NYTimes, Cascadian Farm, a subsidiary of General Mills, is offering Farmville players a branded blueberry crop that can be "harvested faster" and "bring a bigger cash return." Marketers are hoping to incent real-world buying of Cascadian Farm's 75 organic products by seeding awareness of the brand in FarmVille’s audience: of 20 million who farm daily, 60% are female, 20-40 yrs. old. It's the company's first venture into social media. More evidence of ad dollars trending social: before this campaign, the company relied mainly on promoting via print ads in lifestyle magazines like Real Simple and sampling at community events like 5K races. Cascadian isn't the first General Mills brand to partner with Zynga, growers of Farmvillle. In May, Green Giant Fresh subsidiary placed a coded sticker on broccoli, celery and other fresh (really?) products sold at 4,000 Target stores across the country. Each sticker was redeemable at TheGiant.com for five free “farm cash” units, the currency players use for FarmVille projects. In five weeks, $100,000 worth of the units were redeemed online by customers, who cashed in an average of two coupons each. The Cascadian Farm promo is scheduled to run for only a week. Future direction will be determined after assessing FarmVille results, which will be measured by not only Web activity like hits to its blog but by call-ins to a real-world 800 number. My guess is, faux farmers will soon be greening their acres with Deere tractors, Sears harvesters and Monsanto weed wranglers as Farmville enters its Second Life. Hey everything is for sale for a buck. Will be curious to see if as more brands invade the games if people get turned off by them or not. Did you see the South park Facebook Episode that makes fun of Farmville? If you haven't it will have you rolling in laughter. Also I am wondering what happens to Facebook if they lose the social gaming edge. Google secretly invested $100mil in Zynga and will be launching games that you don't have to be on Facebook to play. I bet Zynga is responsible for half of the time spent on Facebook. Will be curious to see how this plays out. Meanwhile can you water my Blueberry patch please. Missed that SP episode, Howie. Will look for it, tx. 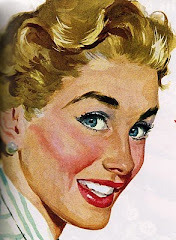 I'll water your brand name blueberries if you help me tend my Philip Morris tobacco crop. Cough.